Sally and Franklin Hardesty, along with some friends, set out to visit their grandfather’s gravesite. Afterwards, the group decides to visit the old Hardesty homestead. On the way, the group picks up a hitchhiker who attacks them. They throw out the hitchhiker and continue on to a gas station. The proprietor of the gas station informs them that they are sold out of gas, so the group continues on to the homestead. 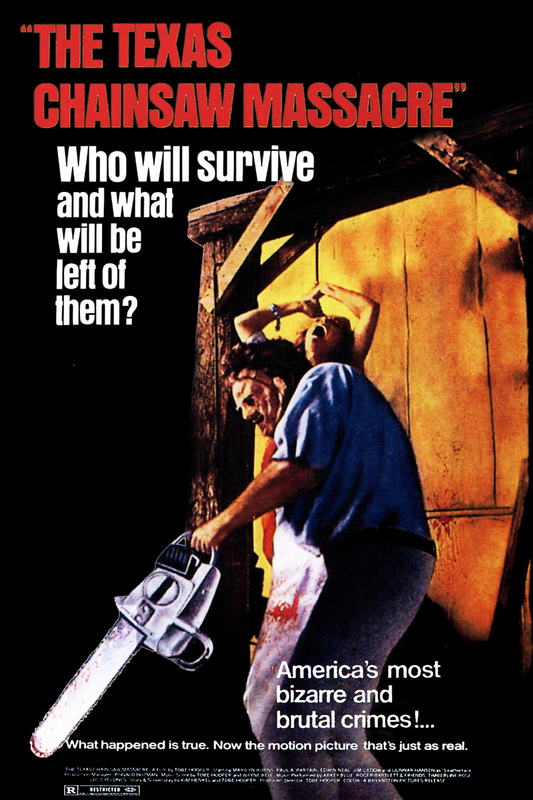 In various and gruesome ways all of Sally’s companions are murdered by a villain referred to as Leatherface. Eventually, Sally is also captured and held hostage by Leatherface and his family, including the hitchhiker and gas station attendant. Sally breaks free and escapes from the horrible family, leaving Leatherface alive and frustrated.